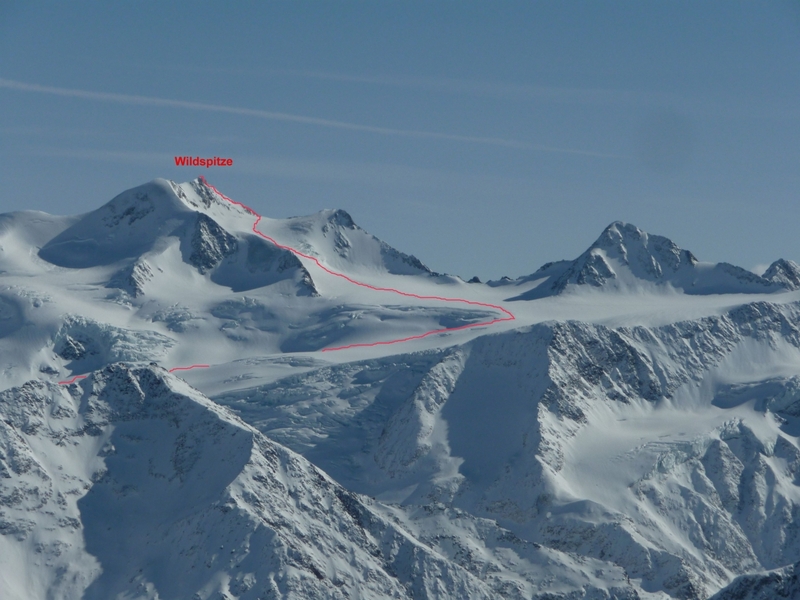 Wildspitze, the second highest summit in Austria and K2 peak: two easy ski tours although they are in high mountain; the ski lifts allow very long descents skiing. Wildspitze peak (3772m) is the second highest summit in Austria and the highest one in Tirol, located in Pitzal valley (Ötztaler Alpen, west Tirol). An easy itinerary that brings you in a magnificent high mountain environment. Nevertheless ice equipment is necessary and you have to scramble past some rocky sections, to climb on the top of the peak. A great advantage is the approach from Mittelberg (1736m) eased by lifts that serve Piztal glacier, with a great reduction of height difference (uphill) that you will then go down skiing (more than 2000m). 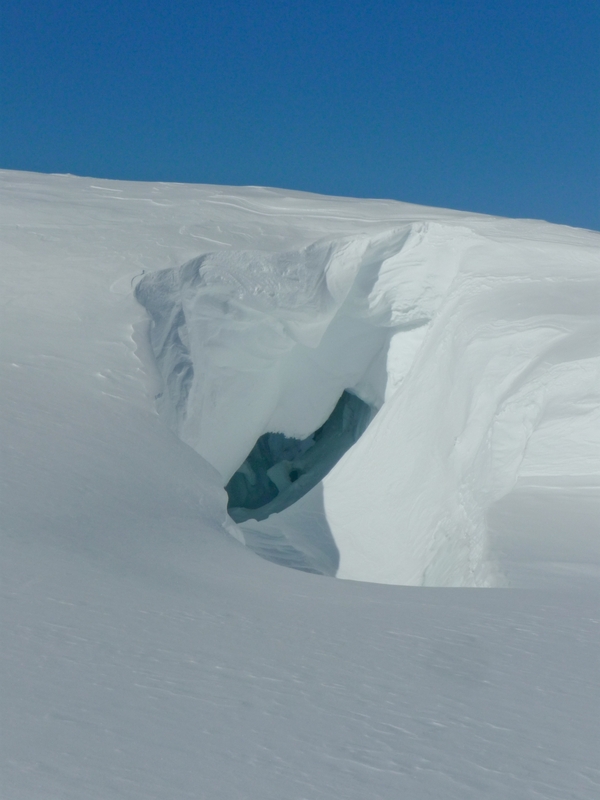 The natural completion of the itinerary is the wonderful and endless descent (more than 20Km from summit) of Taschachtal valley, that can be faced only with stable snow because it is subject to avalanches. K2 peak (3253m) is located between two higher peaks: Rostizkogel (3394 m) and, toward south Löcherkogel (3324 m); nontheless it is a very appreciate ski tour. The name comes from the mountain’s shape that looks like the more famous Karakorum’s K2. 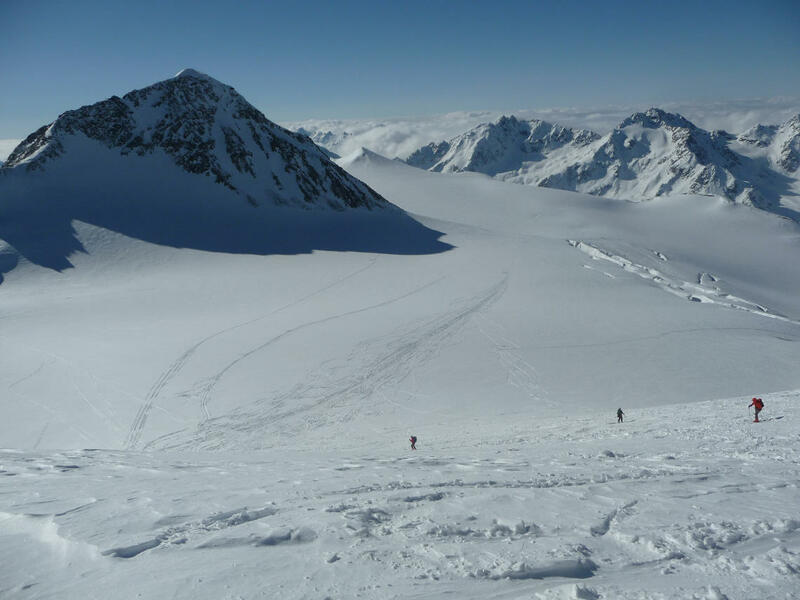 The final section of ascent crosses the Mittlerer Locher Ferner glacier. Also in this case you take advantage of ski lifts from Mandarfen that carry to Rifflsee. On your way back you go downhill 1700m of height difference, while you went uphill only 1100m. It’s a beautiful environment: as soon as you left the ski slopes you feel really isolated. The peak’s panorama is wonderful because the west slope is very steep. 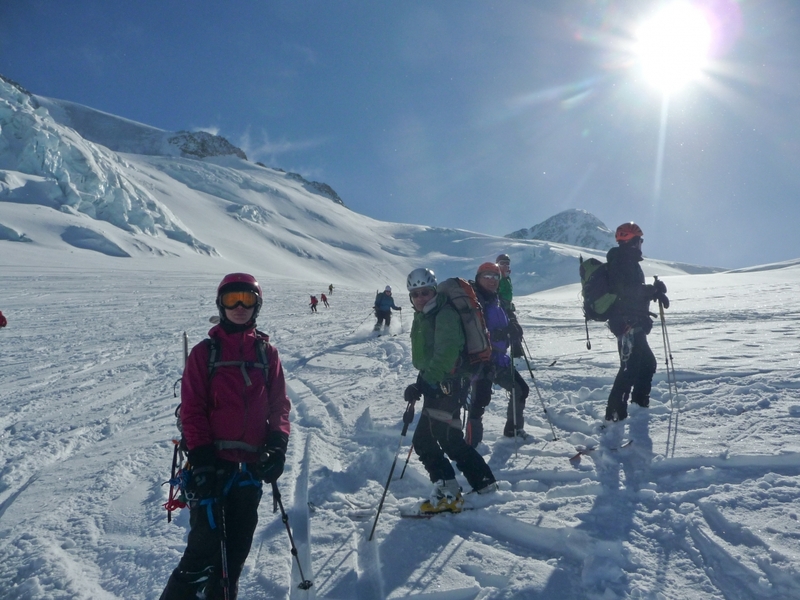 This two days trip has been organized by Ski touring Group “A. Bafile” Italian Alpine Club of Florence (I’m a member of it) and there are 22 participants. 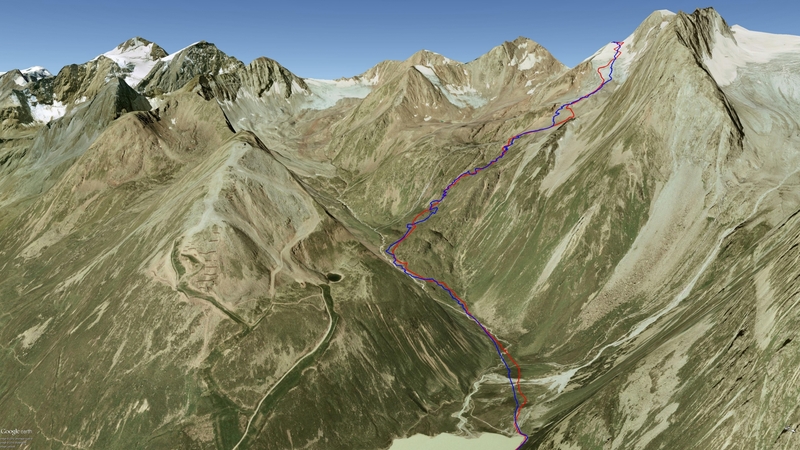 The day before to face the Wildspitze, we have chosen this destination beacuse it’s without particular difficulties except its significant length. Starting from Italy we arrive at 10,00 and get on the gondola at Mandarfern (1675m) that carries to Rifflsee (2242m), which is part of the Gletscher/Rifflsee skirama. We start immersed in the fog. Only at midday (2460m) fog thins out and after that it’s a sunny day. The view is wonderful, a fog layer below and the higher peaks emerge; among them Wildspitze peak that we will climb tomorrow. The ascent is not very steep but long. 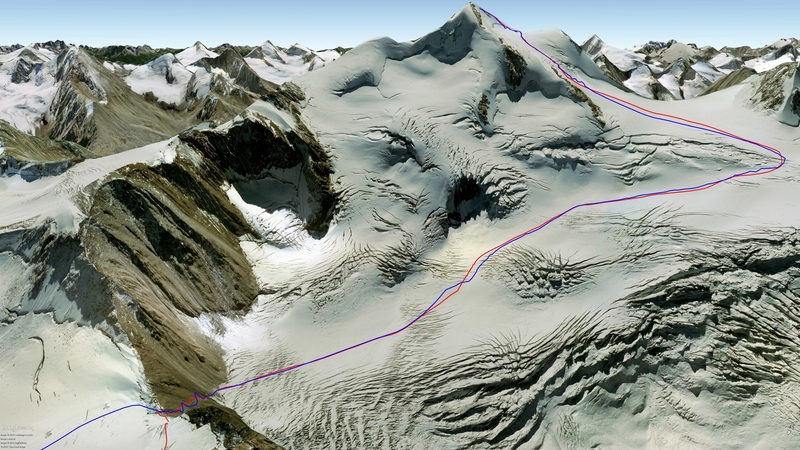 Nice final section crossing Mittlerer Locher Ferner glacier, from where we start to see the K2’s summit. 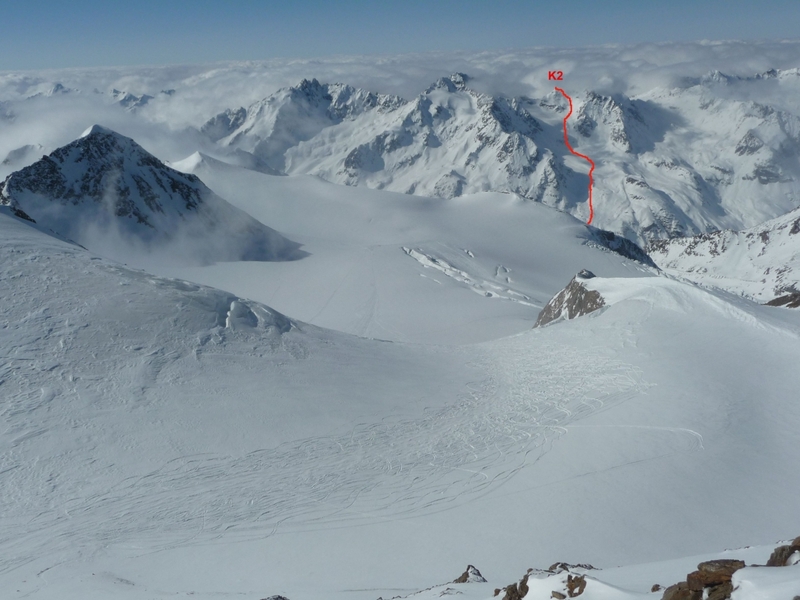 When we get to the saddle (3212m) we lay down our ski and reach K2 summit (3253m). The panorama is wonderful: higher peaks emerged from the fog. The last members of our team arrive quite late. 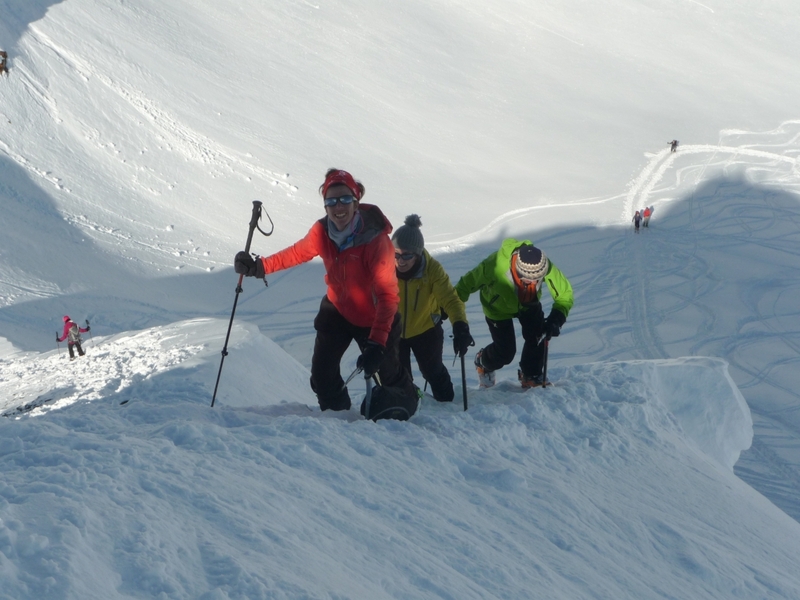 At 15,40 we start the descent: too late; all the other ski tourers have already gone downhill. In spite of that, it’s nice to ski on the high section of the glacier in a great landscape. Just a bit further down we run into the fog, that it has raised. The snow has become crusty because of the cold wind and visibility is poor. We go downhill with difficulty with the help of the GPS. When we get to Rifflsee, some of us are tired and would like to take a ski lifts to reach the valley (besides it is getting dark), but they are already closed. We go downhill a piste to Mandarfen where we arrive at 18,30, after almost 12 Km of descent and -1740m of height difference. The Gletscher Express is a cable railway from Mittelberg (1736m) that carries to 2840m of altitude. 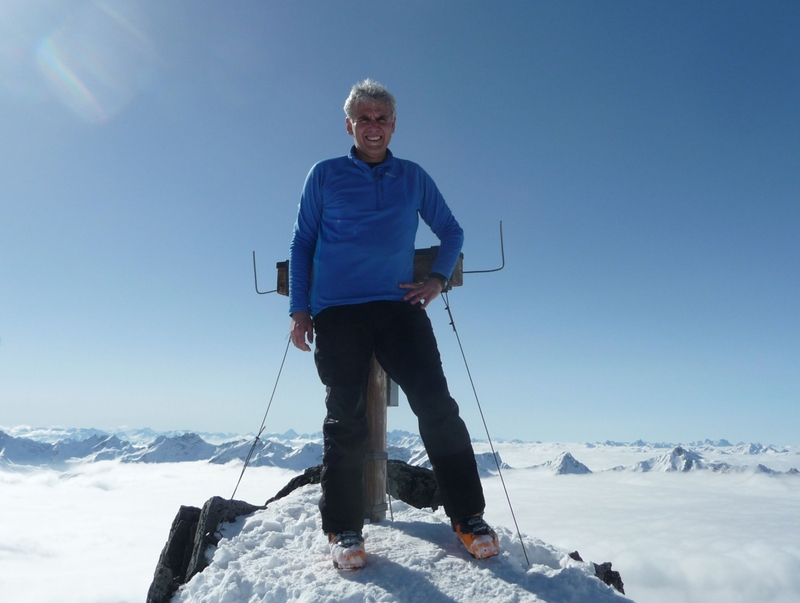 You can save money buying the Ski tourers special day ticket. We take it late, at 9,35 (first run at 8,00), then by Mittelbergbahn gondola we get at 3263m of altitude. After a short section of ski run we reach the Mittelberg joch pass (3166m); from there we go downhill to the Tschachferner glacier. The landscape is impressive. We put up harness and go forward between lateral seracs. After a wide bend we cross another glacier section. 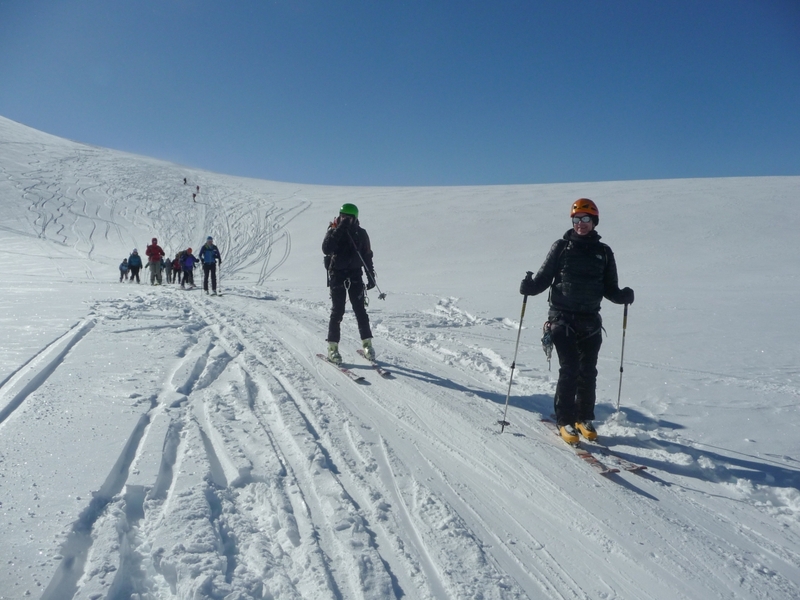 When we arrive at a saddle we leave our ski as the many other ski tourers do. The destination is very popular and the weather is fine and sunny. 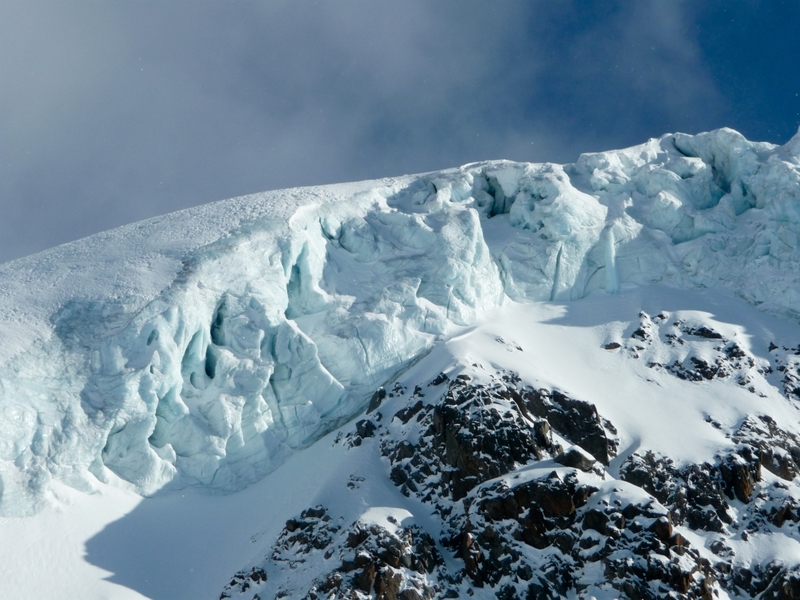 We climb the easy ridge using crampons and poles for more safety. There is only a short (rocky) section where you have to be particularly careful. 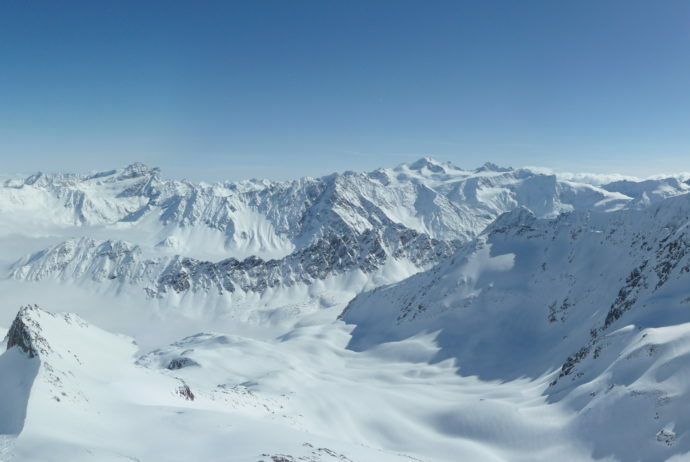 From the Wildspitze summit (3772m) there is an exciting 360° panorama: we are on the second highest summit in Austria and ther is no higher mountain around. We come back to the saddle where we wait for the other members of our group. Also this time we are the last ones to start the descent (14,50). The snow is nice although many ski tourers have passed through. When we get under the Mittelberg joch pass, our group splits in two parts: my group, goes up planning to go downhill using the ski lifts, the other one have choosen to go downhill passing through the Taschachtal valley. Unfortunately at our arrival the ski lifts are just close, so we are forced to take the very long and icy emergency piste. We get to Mittelberg at 17,20 where the other group, that went downhill the Taschachtal valley, has already arrived: we did 14Km and -2150m of height difference. Insert your e-mail to register to the Blog and to receive notifications on new posts by email.